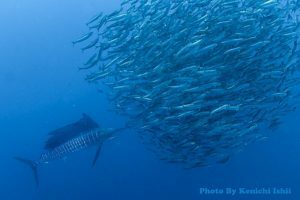 Dive Sardine Run. The ocean awakes, the thrill is simply indescribable. Diving at it's best. 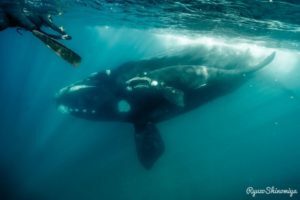 Sardine Run Dive Packages along the unspoilt Wild Coast. 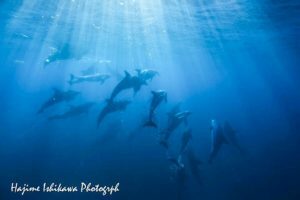 The ocean is buzzing with life, Sardines, whales, dolphins, sharks and gannets. 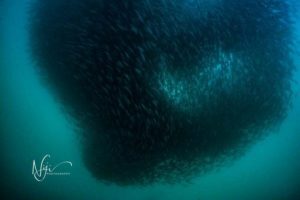 The annual Great Sardine Run is a natural phenomenon which usually occurs during the months of June and July, when massive schools of sardines migrate from the colder waters around the Cape to the warmer waters of Kwa-Zulu Natal to give birth to their offspring. 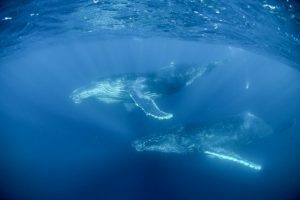 Once they've laid their eggs, they return to the Cape, closely followed by thousands of dolphins, birds, fish of prey, whales and sharks. 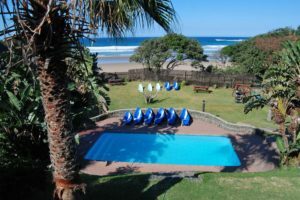 We offer Sardine Run Packages along the unspoilt Wild Coast. 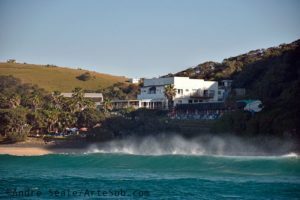 We set up our base at Coffee Bay where we accommodate our divers in the lovely Ocean View Hotel. We offer standard packages of 5 nights and 4 activity days at sea. For groups we can offer tailor-made, longer packages or combinations of Sardine Run and Protea Banks. Due to huge logistics involved in moving the base to this remote village, we have to sell packages up front. If all goes well and nature does not throw a curve ball, a Sardine Run Experience is something one never forgets for the rest of one's life. 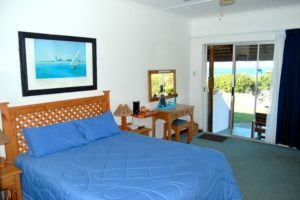 Our guests are accommodated in the lovely Ocean View Hotel. We believe that after a hard day's work our guests need to come home to the best place in town. Not only does the staff at the Ocean View make us feel at home, but also the food is delicious.Bar and Deck are the perfect places to talk about the day's events, Typical Barsnacks consist of Crayfish, Oysters, Mussels ... Pool for those who can't get enough, and the scenic beach is right behind the wooden fence, barely 50m from reception. The rooms are magnificent, comfortable and cosy. 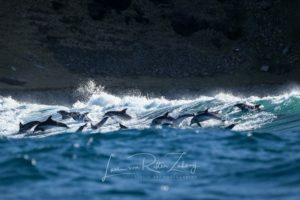 During the Sardine Run the ocean is buzzing with life, there are hundreds, sometimes thousands of Common Dolphins along the coast hunting the sardines and there are whales everywhere. 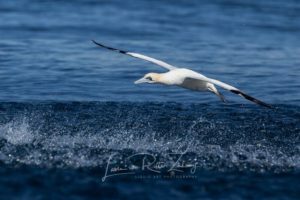 Cape Gannets cruise in flocks of several hundreds above the sardines and dive from 20m into the water to catch as many of the silver fish as they can. At the end of a good day, the Gannets are so full that they just sit on the water unable to take off. After Breakfast at 7am we get transferred by Landrover and Landcruiser 4 x 4 to Mapusi, the most spectacular, idyllic river mouth from where we launch our boat. On the banks of this river divers get ready for the launch. Mapusi offers one of the very few safe launches along the Wild Coast. In the meantime our plane has taken off and done a good fly over the whole ocean in search of animal activity. The skipper and the pilot are in constant radio contact whereby the boat gets directed to the best action on hand. 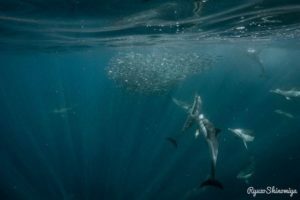 Sardine Run Action consists not only of silver fish but more so of activities such as whales, dolphins, sharks and gannets. Wherever there is something happening the boat will go. The Ultimate Experience is the Bait Ball. 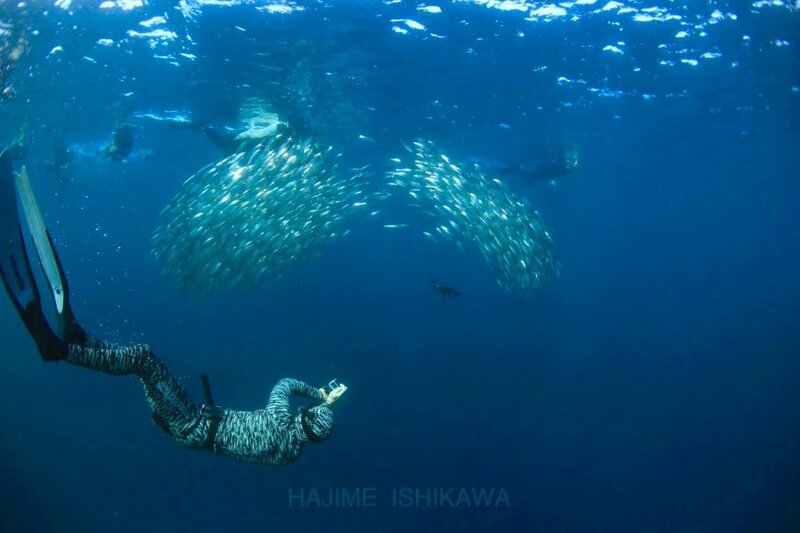 The sharks and dolphins round up a large number of sardines and form what is known as a bait ball. Once the bait ball is formed, the sharks and dolphins swim through and through and through that ball until not one sardine is left. 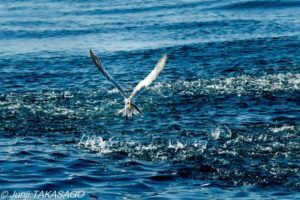 They are often joined by gannets which dive from a dizzy height and use their wings to actually swim further down in pursuit of a sardine. Unbelievable !!!! 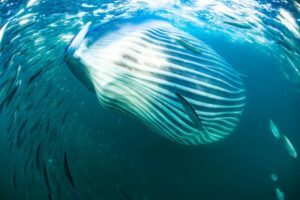 Then comes a Brydes Whale from the depth and like a Front End Loader scoops thousands of sardines into its gullet. 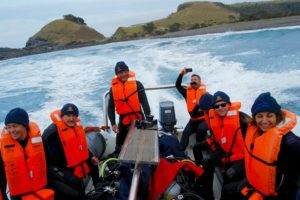 As divers, we first approach the situation carefully and watch from the boat what is going on. 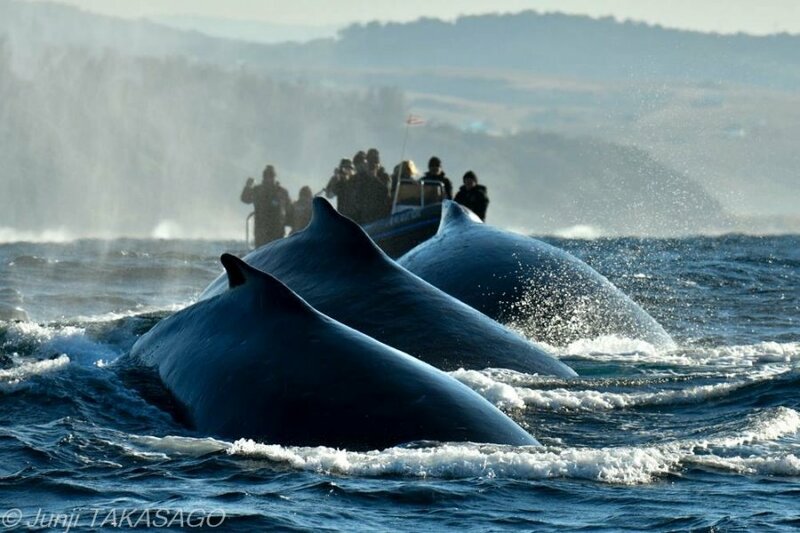 Then we slide into the water and watch the incredible scene from a depth of approximately 5-7m. Such a Bait Ball can last from a few minutes to half an hour or even longer. When it is over it's back on the boat and off to the next group of sardines. This can go on for hours or even the whole day with a short lunch break in between. 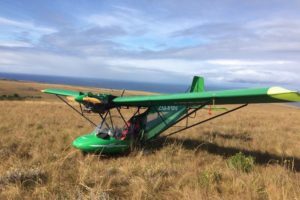 Launching along the Wild Coast can at times be dangerous. Especially when the wind has blown all day the sea will get whipped up. 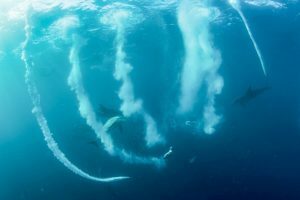 Furthermore, if divers come across a Bait Ball and get too close, they could get in the way of hyped-up sharks. 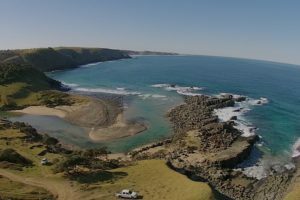 Due to the remoteness of the Wild Coast, medical facilities are rather limited. 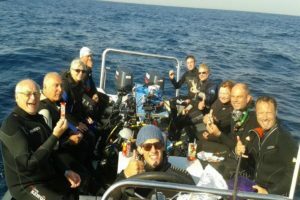 For all possibilities African Dive Adventures is especially well equipped with medical supplies as well as communication devices. Besides, ADA has commissioned a microlight plane to spot activity and also call for help in an emergency.